The Acupuncture Pregnancy Clinic is located on the first floor of a beautiful old heritage building. You enter via the marble entrance of 343 George Street where you find lift or stair access to your right. Opening Hours; Mon, Fri 7.30am to 2.00 pm, Tues, Weds and Thurs 12pm to 7.00pm. By train – Martin Place and Wynyard stations are less than 2 minutes walk away. 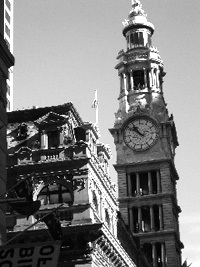 Circular Quay and Town Hall station are five minutes walk away. By ferry – Circular Quay wharf, five minutes walk. By bus – Bus traffic in George st is disrupted during light rail work. Buses from the East travel along Elizabeth Street to terminate in Loftus Street just across from the Quay. Buses from the North travel along York Street stopping outside Lang Park, a few minutes walk away. By car – Street parking is limited in the city but there are car parks close by. 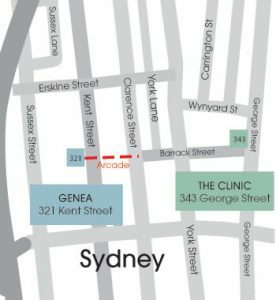 By foot – the clinic is accessible from Kent Street through the arcade beside Office Works (this is open Mon – Fri), then cross Clarence Street into Barrack Street, continue straight down Barrack Street. Number 343 is on the corner of Barrack and George Streets. It is just a 3 minute walk.